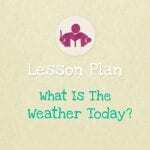 View cart “What Is The Weather Today? 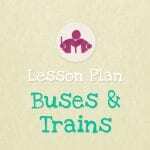 Lesson & Activity Plan” has been added to your cart. 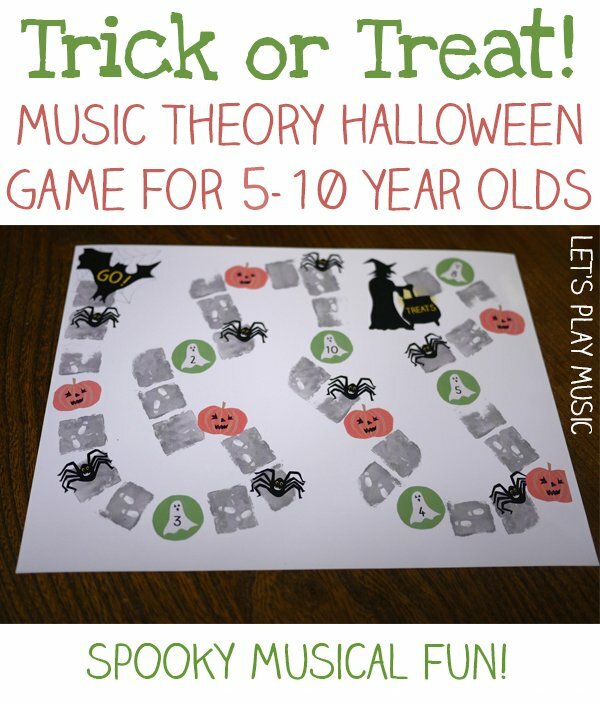 This Trick or Treat Halloween board game is the perfect way to learn music theory with tons of spooky musical fun! To travel from the start to finish, collecting as many treats as you can and to finish first. 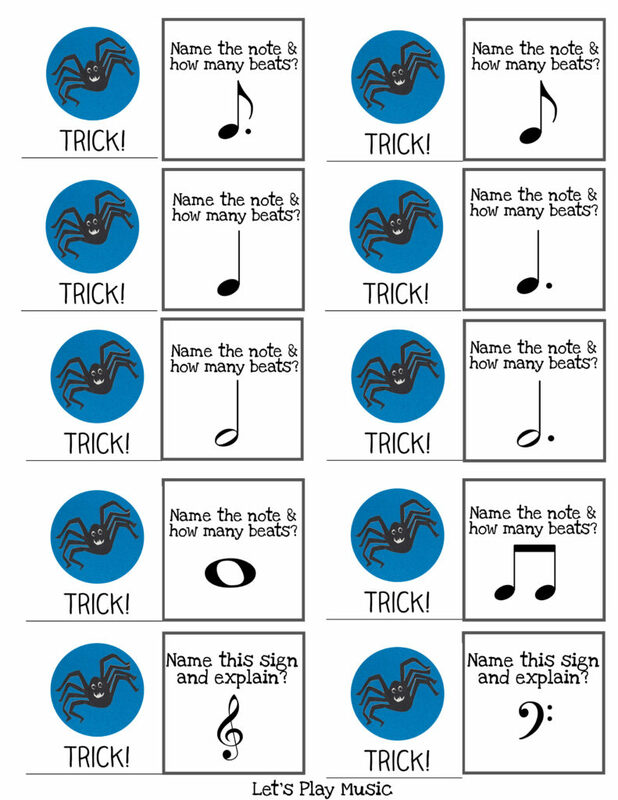 But to make good progress you need to answer the musical questions as you go. The game ends when the first person reaches the Witch’s cauldron of treats, but then everyone else can then ‘cash-in’ their treat tokens too. Once printed, mount or laminate the game board and cards. Cut out and fold the cards and glue into the folded position so each card has a picture on one side and a question on the reverse. Use buttons for the counters. 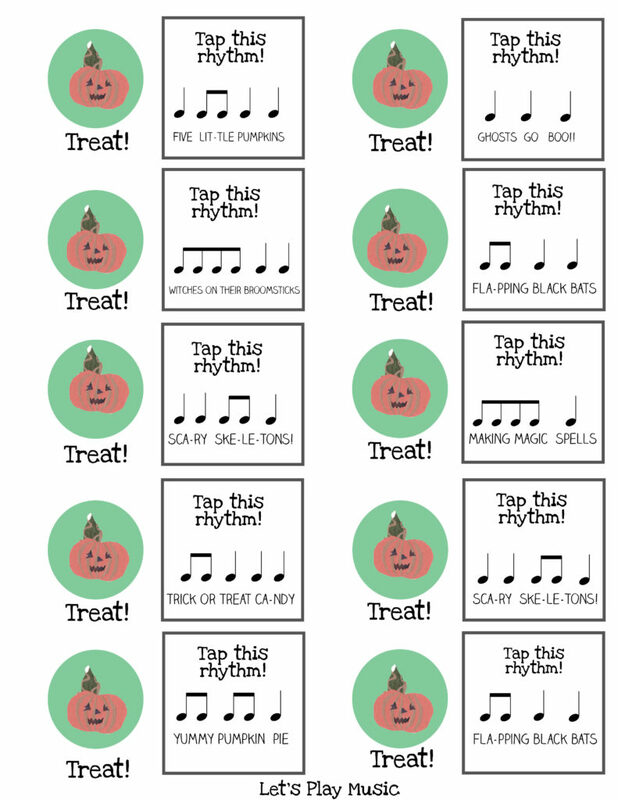 Before you start, organise the trick and treat cards into two piles face down. The person who throws the highest number on the dice starts first. 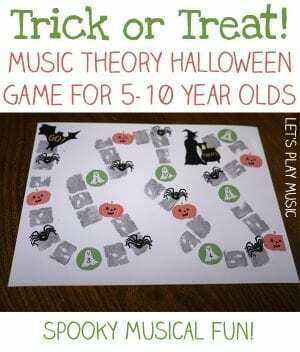 Check out the Trick or Treat Halloween Board Game full post for more details.